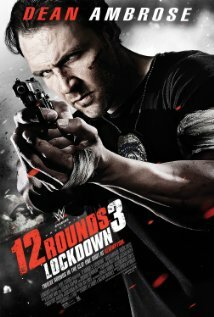 Lionsgate and WWE Films releases 12 Rounds 3: Lockdown at AMC Empire and VOD on September 11th, 2015. NYC MOVIE GURU: What appeals to you about the action thriller genre? Stephen Reynolds: I've been watching those movies all of my life, like the Lethal Weapon and The Last Boy Scout. It's something that I've wanted to sink my teeth in for a while. That's where it came from: a boyhood dream of making action movies. NYC MOVIE GURU: How important and challenging is it to know when to include some breathing room in between all of the action scenes? SR: It's important to me to find those beats. I tried to get the audience to absorb the character of Shaw in those beats. On the page, it was a crazy action movie that was 70 minutes or so, so I tried to find ways to show who Shaw was a little bit in those breaks. NYC MOVIE GURU: Given that you've directed and written your films before, how does only directing without writing affect your process of filmmaking? SR: It's a very interesting process because when I usually write, I envision the movie and I write the words, so directing becomes a lot easier because that creates a process that is all on the page when you were writing it. When you read someone else's words, it's a little bit more difficult for me to envision that. Especially with a film like 12 Rounds 3: Lockdown, it's really different. You have make sure where that vision comes from and make sure that you're on the same page with the screenwriters. SR: It's a very dark curiosity of the human soul. It's escapism. There is a certain attraction to the dark action or horror movies. It's a place where you can go and explore because it's something that you don't usually see in reality. In reality, you can't really experience all that without putting yourself in harm's way. NYC MOVIE GURU: Nicolas Winding Refn, the director of Drive and Only God Forgives stated once that he believes that action scenes are all about the build up rather than the climax. Do you agree or disagree? SR: With something like Drive, the pace is very different and character is very different. It really is about that slow build to a crescendo of violence. Whereas with a movie like this, it's a different tone. It's a straight-up action movie, and you want to make sure that your audience is getting what they want from this movie. If 12 Rounds 3 had a drawn-out pace which is different from what they're used to, they might be disappointed. It depends on the script, tone and the consideration of the audience. NYC MOVIE GURU: How did you arrive at the decision to not include gore 12 Rounds 3: Lockdown? SR: When I read the script, I didn't think that it need to be a gratuitously violent action movie. It needed to be glossy, slick and easy on the eyes. I wanted people to watch a good-looking action movie that has a lot of polish, movement, thrills and atmosphere. There wasn't anything that dictated that I needed full-on gore. NYC MOVIE GURU: Would something be lost by watching 12 Rounds 3: Lockdown on the small screen? SR: That could be said for a lot of movies. You can never beat the cinema experience. It's a nice big screen with loud speakers and surround sound. At the same time, it'll serve well on the smaller screen. It will be good whether it's big and loud or small and quiet. To truly get the cinematic experience, a movie like this is worth seeing on the big screen. NYC MOVIE GURU: What similar films with make a great double feature? SR: It's got its roots in the trapped-in-a-building kind of movies, so Die Hard. I was always a big fan of what Tony Scott was doing early on like The Last Boy Scout and the way he tackled masculine, iconic protagonists. The old Westerns with John Wayne would also be a great double feature. NYC MOVIE GURU: What about a more light-hearted film?